Item No. 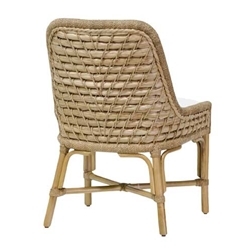 14 Woven Seagrass Arm Chair with sturdy rattan frame. Arms and back feature natural seagrass tied with woven rope. A fixed upholstered seat making a very comfortable dining chair.